While Donald Trump and the Republicans struggle to pass any meaningful legislation, there is one thing they know how to do well. That is, grab the public’s attention in order to enlarge and intensify their base of support. Long before he declared his candidacy for president, Trump was in the spotlight claiming Barak Obama was not a legitimate president, falsely asserting Obama was a Muslim born in Kenya. At the same time, House Republicans, though they knew they didn’t have enough support in the Senate, voted again and again to repeal the Affordable Care Act, better known as Obamacare, in a very visible effort to sabotage the president’s signature piece of legislation and rally their base. Now the shoe is on the other foot, so to speak. Trump is in the White House and the Republicans control Congress. But where are the Democrats? Yes, they rolled out their “Better Deal” package of economic reforms back in July,1 but how many Americans even remember that three months later, let alone got excited by it then? So, where are the Democrats, the “opposition party,” when our country desperately needs them? Why haven’t they risen to the occasion? This does not bode well for the Democrats in the 2018 mid-term elections. A divided party is a weak party. Why would Sanders supporters turn out if all they will get in return is more of the same centrist policies that don’t come close to meeting their needs or desires? Is total control of the Party more important to establishment Democrats than winning elections, stopping the Trump/Bannon takeover of our country, and improving the lives of most Americans? The Democratic Party needs to do some serious soul-searching now, before it’s too late. Did Trump Win ‘Fair and Square’? Under the headline “Note to Dems: Stop Whining,” syndicated columnist Diane Dimond writes that “Trump won fair and square” in the November 19, 2016 Albuquerque Journal. Really?! When hundreds of thousands of registered voters are secretly purged from numerous GOP-controlled states’ voter rolls by Republican operatives, is that fair and square? When these voters are targeted by Republican operatives because they are mainly minorities who overwhelmingly vote Democratic, is that fair and square? And, when Republicans pass restrictive voter requirements in multiple states under the guise of unsubstantiated voter fraud making it harder for minorities and the poor to vote, is that fair and square? Dimond writes that those who are protesting the election of Trump “denigrate our political system and malign the office of the presidency.” I would strongly argue that it is Trump and his Republican cronies who have severely damaged our political system and the office of the presidency. In his new book, The Best Democracy Money Can Buy, and movie of the same name, investigative journalist Greg Palast convincingly illustrates how the 2016 election was stolen by the Republicans. (See http://www.gregpalast.com/.) Employing a system called “Crosscheck,” Republicans robbed over a million minority voters of their right to vote in crucial states, explains Palast. Crosscheck compares voter rolls in two states and purges voters with very similar names (e.g. George Gonzales and George M. Gonzales) from the rolls in both states for double registering, without proof the two names are the same person. For example, the North Carolina Crosscheck purge list consisted of 589,393 voters. Since Trump only won North Carolina by about 177,000 votes, the overwhelmingly Democratic, purged voters would easily have wiped out Trump’s victory had they been able to vote. Palast indicates that Crosscheck was utilized in 29 states, including critical states like Arizona, Florida, Michigan and Ohio. The 2016 presidential election was an excruciating experience for millions of Americans. Many are in a state of despair and disbelief. Like me, they wonder how we could possibly have elected Donald Trump as our president. This election pitted the Establishment against the Anti-Establishment. A great number of Americans, including many who worked for Sen. Bernie Sanders in the Democratic primaries, were fed up with a self-serving Establishment. After decades of being left on the sidelines, millions of voters enthusiastically backed Donald Trump, the political outsider who shrewdly crafted a message that addressed their frustrations. Finally, someone understood their anger and resentment. On the other hand, Hillary Clinton represented the epitome of the Washington insider. Most Democratic, and even some Republican, officials supported her. She had been around D.C. for almost 25 years. She knew how to play the game well and accomplished a good deal for our country over the years. But, in the end, Clinton had too much baggage to carry the day and win the big prize. Nevertheless, despite the looming darkness of a Trump presidency, there just may be a silver lining to this election. I have long thought that things may have to get worse before they could get better. Many of us have been willing to go along with the status quo because our own lives have not seemed to been affected very much by the corruption and gross inequality in our country. While we might donate to various social causes and/or write a letter to our state or federal representatives, the vast majority of good Americans have had little time for organizing and volunteering to build a fairer, more just political system. The election of Donald Trump very possibly changes all that. We have received a wake up call signaling that we are losing our democracy and becoming an oligarchy. With the implementation of Trump’s programs, I believe many more Americans will grasp how much politics and government policy can personally impact us in a negative way. Consequently, Trump’s election can be a great organizing tool for Democrats and progressives. Moreover, if Hillary had squeaked out a victory, Trump and the Republicans would have constantly been attacking her. It would have been as bad, if not worse than how they obstructed Obama. She would have had a hostile Republican House and Senate on her back all the time. We would have had more Washington gridlock, another government nightmare with little chance of Clinton successfully pursuing much of her agenda. And, what she was able to achieve would, most likely, have been watered down to meet Republican and, quite possibly, her own donors’ objections. While progressives would have been lobbying for stronger social programs and climate change legislation, it’s really hard to imagine how they could have achieved very much under such conditions. Now, instead, Trump and the Republicans control the whole government, ready to advance a right-wing agenda that favors big business, non-regulation and large tax breaks for the wealthy. Additionally, many of the hard-won, social justice advances of the last fifty years are in serious jeopardy. The lines between Trump’s course and one that would truly serve most Americans and our planet are now clearly drawn. That should make the need for building a broad-based, non-partisan national movement to revive our democracy even more urgent and, hopefully, our goal of a just society more obtainable. So let’s come together and get to work! Go to www.breakingbigmoneysgrip.com to learn how to get started. And, if you are in Santa Fe, come to the next meeting of the Democracy Organizing Committee on Monday, November 14, at 6:15 in the LaFarge Library Community Room. Additionally, as I noted in Breaking Big Money’s Grip on America, between 2009 and 2012, the first years of the economic recovery after the Great Recession, 95% of the total gain in income went to the families in the top one percent. Consequently, more and more Americans were feeling left behind as our nation dug itself out of the 2008 Recession. While the Establishment in both political parties was addressing the needs and desires of the donor class, they were doing little for the rest of their constituents. During the last days of the George W. Bush administration, Congress passed TARP, the Troubled Asset Relief Program. Though TARP funds were primarily to be used to save the nation’s biggest banks from collapsing, the government could have used some of it to prevent the foreclosure of average citizens’ home mortgages. But President Obama refused to require foreclosure relief from these banks as a condition for their receiving a massive bailout of hundreds of billions of dollars2 paid for by American taxpayers. Even Obama’s singular achievement, the Affordable Care Act, was drafted more in line with the wishes of corporate America than those of the general public. As a result, the Act failed to include a ‘public option,’ which would have helped limit the cost of people’s health insurance, while it contained the insurance companies’ requirement that all citizens obtain health insurance. Meanwhile, since the Great Recession, Congress has refused to pass a substantial jobs bill, mostly due to Republican obstruction, which would have assisted millions of Americans in getting back on their feet. And, if that weren’t enough, Obama continues to lobby for the passage of the TPP, the Trans Pacific Partnership treaty, that would further hurt American workers while it boosts Big Business. How many times can we expect working class Americans to take it on the chin before they start fighting back? Can we really blame them for being mad as hell and supporting Donald Trump? Yes, Trump is a charlatan. But, when people are drowning, they will grab onto any apparent lifesaver within reach. In fact, the rise of Trump’s presidential campaign is in large part the result of our nation’s failure to respond to the needs of his followers. The truth is that the Establishment, Republican and Democratic alike, has been more focused on protecting and furthering its own self interest than it has been in building a nation where we all have an equal opportunity to enjoy healthy and prosperous lives. But, this is the way it has always been. The status quo does not change unless people organize and demand it. Just look at how it took millions of Americans coming together in the LGBT, Civil Rights and Environmental movements to overcome the opposition of the status quo and achieve their successes. Now that this bitter presidential campaign is finally over, it’s time we turned our attention to the causes that made it so acrimonious. In particular, we must examine an economic/political system that provides so much to so few and so little to so many. Then, we must organize a broad-based, non-partisan Democracy Movement to redevelop that system into a fairer, more equitable one for all Americans. For how we can do this together, visit breakingbigmoneysgrip.com. It’s been way too long since I’ve written here. Now, however, I’m setting the intention to blog twice a week, if not more. So, here goes…. While the 2016 election cycle is about to end, our work as engaged citizens is just beginning. I believe this election, regardless of who wins, has finally awakened the American people to the fact that we are responsible for the state of our union. Whether our government functions in the best interests of the people is up to us. Too often we have allowed the politicians and special interests to determine policy without regard for the public interest. For example, when President Bill Clinton negotiated NAFTA, the North American Trade Agreement, was he looking out for American workers or big business? And, whose concerns guided our government’s decision to repeal the Glass-Steagall Act that separated commercial banking from investment banks? Wall Street or Main Street? In 2003 when the Bush Administration promoted and initiated a war against Iraq, was that in the best interests of the American people? With then Vice President Cheney leading the way, Halliburton, Cheney’s former company, and other Big Oil corporations sought to profit from the needless killing of hundreds of thousands of Iraqis and the wasteful expenditure of trillions of U.S. taxpayers’ dollars. More recently, when the 2008 Great Recession crippled the country, President Obama used our money to bail out Wall Street while doing little to help millions of his fellow citizens save their homes from foreclosure. In all these and other similar situations, the vast majority of Americans felt helpless, watched their government act against their best interests and did nothing. But, the times they are a changing. A great number of Americans from all political persuasions are fed up with government as usual. They are giving notice that they will no longer stand by and allow Big Money and special interests to run the show. Whether they support Donald Trump, Bernie Sanders or Hillary Clinton, voters are angry and ready to fight for what they believe in. When President Obama was elected, people thought he would deliver the”change you can believe in” that he had promised. They did not hold his feet to the fire to assure he would make good on his promises. While one can argue that Obama faced much opposition which obstructed his performance, we, the people, were not organizing the mass movement that would have provided the necessary support and force to overcome some of the obstacles he faced. This time is different. We are under no illusions that either Clinton or Trump will produce the change most Americans desire. This time we know that it is up to us to battle for the kind of country we want. We must make our voices heard and demand real change for the public good, not the special interests. We are the ones we’ve been waiting for. This pivotal time in our country requires bold action – a Democracy Movement. Real change in the United States occurs when Americans come together and demand it. Whether it was women’s suffrage or labor or civil rights or marriage equality, grassroots movements were necessary to compel our nation to address these issues. Now a Democracy Movement is required to break Big Money’s grip on America so that we can form a government of, by and for the people that will effectively deal with today’s critical issues: climate change, affordable healthcare, money in politics, gun violence, international terrorism and immigration reform, to name a few. Therefore, I would like to invite you to the first planning meeting of the Santa Fe Democracy Organizing Committee (DOC) at 6:30 pm on Monday, August 8, in the Community Room of La Farge Library on Llano Street in Santa Fe, where we can begin working together to make a real difference. As my new book, Breaking Big Money’s Grip on America: Working Together To Revive Our Democracy, demonstrates, the dominance of Big Money not only corrupts government itself but also blocks effective action on virtually every major issue Americans care about. It then illustrates that the only force capable of challenging Big Money’s corrupt and powerful hegemony is a diverse, nonpartisan, nationwide, grassroots movement for democracy. If we really want a government of, by and for the people, it is up to us to make it happen. We have seen time and time again that our political leaders are too beholden to special interests and their corporate sponsors to truly serve our needs. I urge you to attend this organizing meeting on August 8. Bring your friends and colleagues along with you. After introductions, we will discuss what a Santa Fe DOC might look like, what it could do and how it might align, or not, with other political efforts. Then we will begin planning how we can work together to revive our democracy by building a strong Santa Fe DOC in the coming months. We will end by 7:50 pm. If you have questions about the meeting or can’t make the meeting and want to be involved in this effort, you can email breakingbigmoneysgrip@gmail.com. I hope to see you at La Farge on August 8. On the eve of their national convention, the Establishment wing of the Democratic Party claims that the party is uniting. At the same time, the progressive Sanders wing couldn’t disagree more. First, the Sanders people are very disappointed, if not angry and bitter, with Sec. Clinton’s choice of centrist Sen. Tim Kaine for VP. On top of that, the recent release by Wikileaks of DNC emails strongly supports the claim that the DNC rigged the primary process in favor of Clinton. Progressives are in no mood to unite with a party they see as unethical and undemocratic as well as tied to Big Money and corporate America. Without a united party, the Democrats will have a more difficult time getting out the vote in November. And, without a large voter turnout, Clinton could very well lose the election. What can she do? As I wrote in a blog earlier this month, the one person who can unite the party is President Obama. The majority of the Democratic Party, including Clinton, Sanders and 83% of Congressional Democrats who voted against fast-tracking the TPP, oppose this trade agreement in its present form. The main reason the platform committee failed to include a definitive statement against the TPP in the party platform appears to be their desire not to embarrass Obama, who champions the trade pact. Therefore, the soon-to-be anointed new leader of her party, Sec. Clinton, along with Sen. Kaine, needs to have a heart-to-heart talk with the president. She and Kaine must make perfectly clear to him why they have changed their minds about the TPP, and why he must as well. And, they must do it immediately. They have to convince Obama that for the good of the party, the best outcome in the election and the wellbeing of the nation, he has to publicly withdraw his support for this terrible trade agreement at their convention. Then, together they can all pledge that the TPP will not be approved in a lame duck session of Congress after the election. If Clinton can accomplish this in the next few days, the Democratic Party could come together in Philly. It would not be a perfect union by any means. The Establishment wing of the party would still have work to do to gain the enthusiastic support of many progressives. But it would be a big step forward. Clinton, Kaine and the party would be demonstrating that they do, in fact, stand with the party’s progressive base, the working people of America, against Big Money and corporate America. 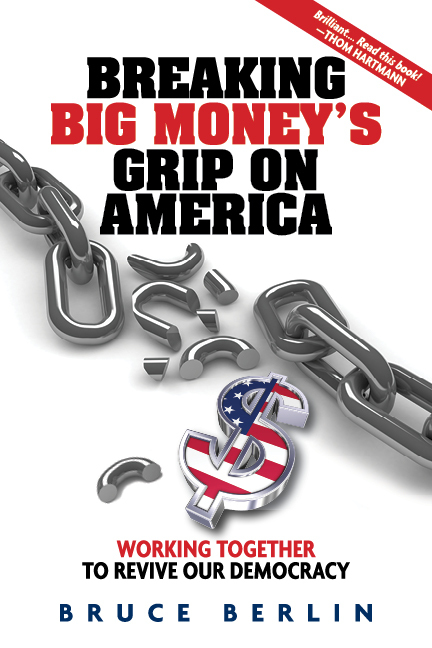 Bruce Berlin is the author of the new book, Breaking Big Money’s Grip on America. See http://www.breakingbigmoneysgrip.com. The Democratic Party is deeply divided. The Clinton Establishment faction believes that Senator Sanders needs to endorse Secretary Clinton and bring his followers into the party fold. The Sanders “political revolution” movement argues that the Clinton campaign must support a strong, progressive platform in order to assure the senator and his supporters that the Party is serious about significantly altering the power structure that prevents progress on climate change, income inequality, Wall Street regulation and campaign finance reform, among other pressing issues. The two groups appear to be stalemated. There is one person, however, who could resolve this knotty problem and unite the Party. That man is President Obama. With little more than six months to go in his presidency, Obama is beholden to no one, not Wall Street, the oil industry, Big PHaRMA, nor any other special interest. He is free to say or do as he pleases within the law. At this point in his presidency, however, Obama has the opportunity to not only redeem himself, but also unite his party for the November election and help at last deliver the “change we can believe in” that he promised us. First, he could bring the Democrats together by renouncing the TTP, which both Clinton and Sanders have publicly opposed. Apparently, the platform committee split 7 to 6 against including opposition to the TPP because some members did not want to “embarrass” the president. By rejecting the TPP, the President would be freeing those on the committee who supported the TPP in deference to him to reverse their vote. In addition, he would be making a clear statement that the Democratic Party is on the side of American workers, rather than Big Money and corporate America. Second, Obama could come out in favor of both a carbon tax and a national moratorium on fracking, both of which were rejected by a divided platform committee. Obama has long advocated for combatting the causes of global warming, but has not taken the bold steps required to succeed in this effort. Approximately two-thirds of all Americans support such measures, including an even larger number of Democrats. An Obama initiative in this critical arena would be supporting the American people and opposing special interests. Moreover, it would again help bring the Democratic Party together. And third, the President could state he favors Medicare-for-all or some similar healthcare plan. Obama could promote his endorsement of universal healthcare as the next logical step after the success of his Affordable Healthcare Act. While Clinton recently stated her opposition to such a plan, she has supported it most of her career. Obama’s backing of universal healthcare would give Clinton the cover she needs to reverse her stance. At the same time, it would also help unite the Party. These are just three ways Obama could enhance his legacy, smooth the way for unifying the Democratic Party, and help ensure a Democratic victory in November. Of course, there are others. But, the question is: Mr. President, will you finally take a strong stand for “change we can believe in”? 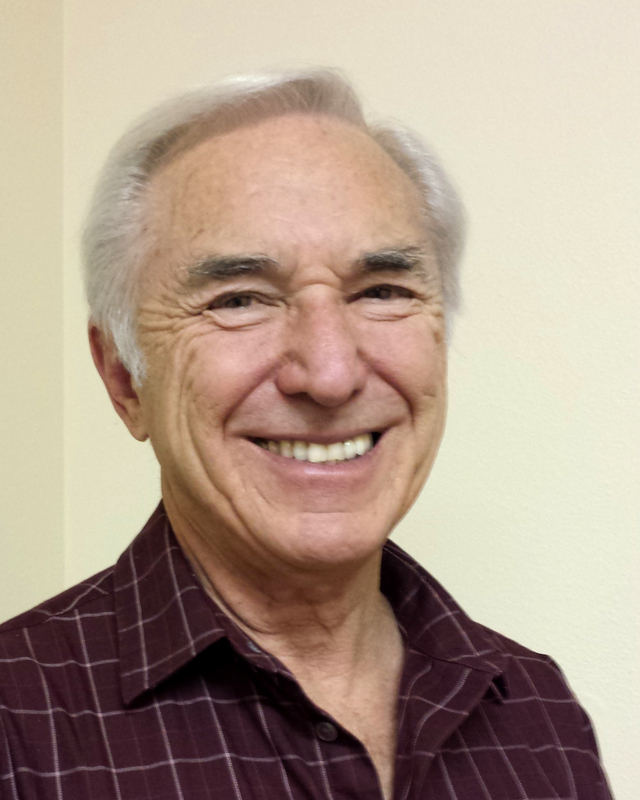 A retired, public sector attorney, Berlin is the author of the recently published book, Breaking Big Money’s Grip on America: Working Together To Revive Our Democracy. See www.breakingbigmoneysgrip.com for more info. The Orlando tragedy is just the latest example of what happens as a result of the American people continuing to allow Big Money to control our government. Until we stand up to Big Money and corporate America and take control of our government away from them, we will live by their rules and desires. Come to the Jean Cocteau Cinema tonight at 7 pm for a provocative discussion on Breaking Big Money’s Grip on New Mexico and America. Together, Repubs, Dems & Independents, we can revive democracy in our nation. Go to http://www.jeancocteaucinema.com/…/bruce-berlin-reading-a…/….